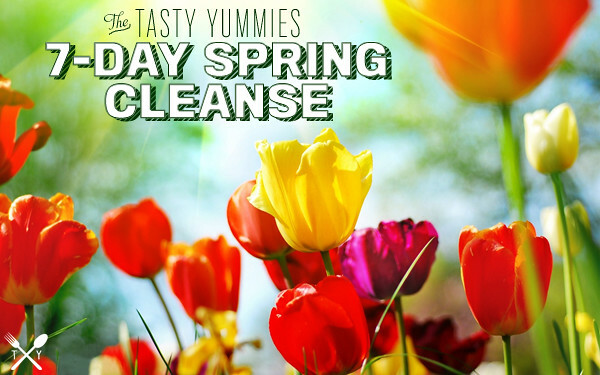 Today is day 3 of my 7-day Spring Cleanse and I have to be honest that the second half of yesterday just kinda sucked. I had a terrible pounding headache, that started out not so bad and just got worse as the day went on, then my tummy got involved a little, too. I just felt crazy worn out. Oh yeh, and there has definitely been an excess of mucus. (sorry, gross I know, but I am all about sharing) However, hubby and I decided to take advantage of the beautiful weather here in Long Beach last night and we took 2+ mile walk around out new neighborhood, down to 2nd Street and I got myself an iced herbal tea unsweetened. It feel great to get out and move and I needed that, but boy when I got home was I ready to hit the hay. I was in bed and ready for sleep before 10pm. I didn’t sleep super great since I was dealing with the headache, but when I woke today at 6am I was feeling a lot better. Since we took that long walk last night, I decided to skip a morning workout today to give my body the rest I think it is craving right now. I may try to get a run in later today depending on my energy level. Cleansing and detoxing is a lot for your body to go through and you have to read your body’s cues on what it is craving (besides the sweets and salty snacks). This morning I was craving rest and something very green! 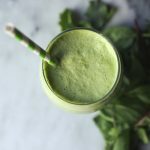 With St Patrick’s Day just two days away, I found myself inspired to make the first smoothie of the cleanse, this creamy green smoothie! Since I am consuming most of my fruits and vegetables cooked, the only time I will eat raw is first thing in the morning, when I feel like my digestion hasn’t been taxed yet and can take on the task of breaking it all down. 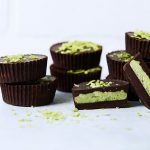 Since a smoothie basically does a lot of that for you, I felt like that was an even better way to enjoy some raw. From what I know of cleansing and what I have personally been through, I know that once (if) you can get past day 3, the worst is over. 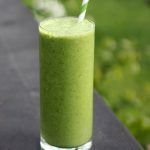 Your body will have detoxed from many things by the end of 72 hours and you shouldn’t be going through withdrawals or any of that sort of thing. So hopefully today is a little easier than yesterday. Feel free to change this up however you’d like. Any apple type will do, but please only include the skin if you are using a certified organic apple. And please still wash it well. You could also use kale in place of the spinach if you wish. Also, I included ground flaxseeds to help with the thickness of the smoothie but also for their many benefits, like omega-3 essential fatty acids and fiber. If you don’t care for avocado, go with 1/2 banana instead. Have fun with the recipe and make it your own. 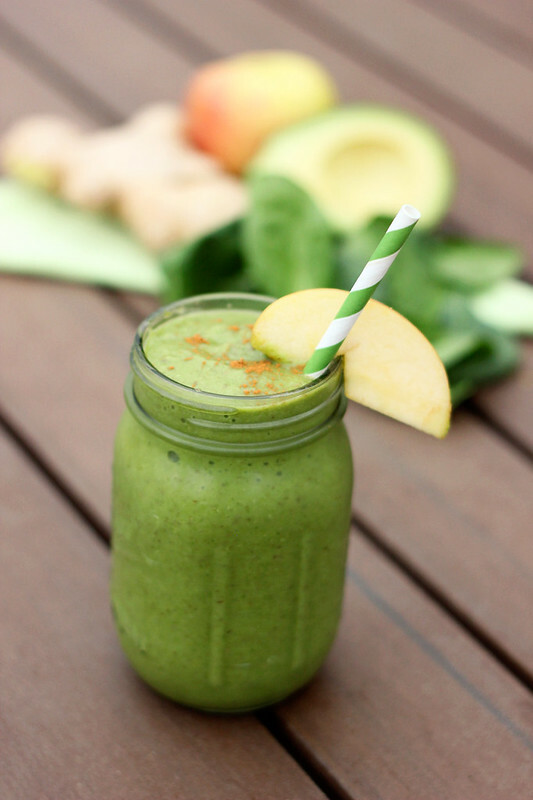 If you have been joining me on this cleanse, how are YOU feeling? Experiencing any detox side effects? Hope you have all been following along on my Facebook page, where I have been sharing what I am eating for each meal. Add all of the ingredients to your blender (in the order above) and process until smooth and creamy. Serve with an apple slice and a sprinkle of cinnamon or a cinnamon stick to get real fancy! * I know it is repetitive on the “organic”, but it is especially important to consume organic produce when cleansing. All of my ingredients, included the flax and cinnamon were all organic. Great!! 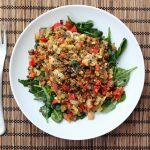 I hope to be sharing more as the week goes on too, most of what I am eating is just whatever fresh veggies I have on hand, sauteed up with some detoxifying spices and herbs. It’s been so fun!! 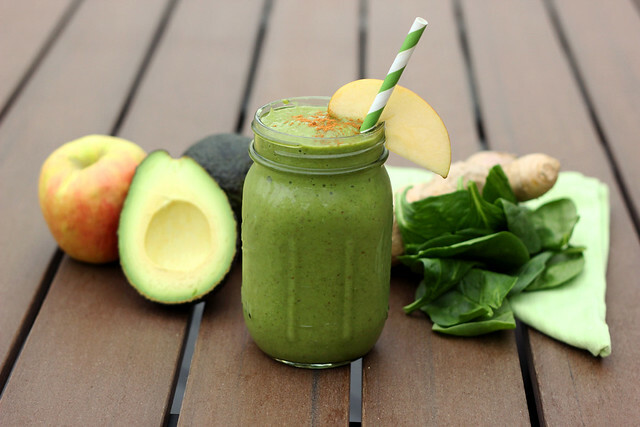 I am surprised you don’t like avocado in your smoothies, first time I had ever done it actually and I was nicely surprised. The banana will be wonderful too, though!! I made this recipe for lunch an hour after seeing it. Yummy!!!!! Loved it, thank you!! Judy – great! I am so glad to hear you made it and enjoyed it. 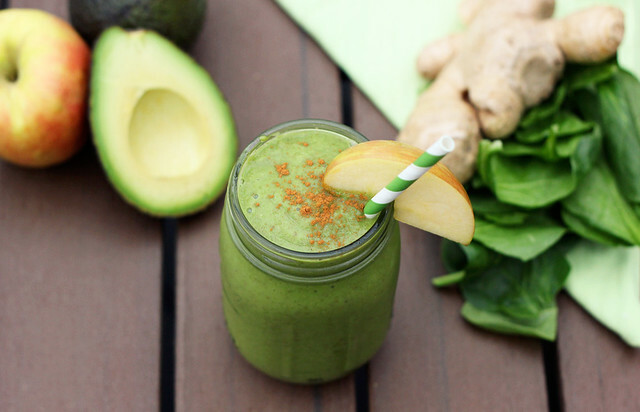 I am in love with this smoothie! This recipe is a keeper. I wrote it in my new smoothie recipe note book. My husband really liked it too. I’m technically beginning day two and had a terrible headache last night and this morning. Along with the other symptoms you mentioned. Crazy. I don’t drink a lot of coffee, but the little I’ve cut out must be making a difference. As well as the white flour, etc.? Can’t wait to try this smoothie. I don’t have the dates and will have to substitute soy milk for the almond because of my daughter’s nut allergies. Why do you cut soy during the cleanse? What is the cleanse you are doing? Thanks!